Zero Days DVD release date was set for January 17, 2017 and available on Digital HD from Amazon Video and iTunes on December 6, 2016. 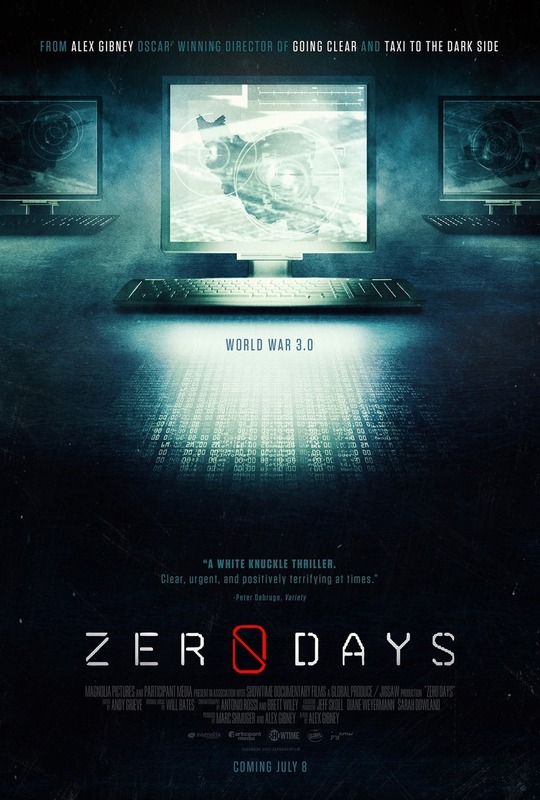 Directed by Alex Gibney, Zero Days is a 2016 American documentary focused on the phenomenon surrounding the Stuxnet computer virus as well as the related development of the self-replicating computer malware software known as "Olympic Games". 'Olympic Games' was created and released by Israel and the United States of America to wipe out a critical part of a specific nuclear facility somewhere in Iran which ultimately spreads well beyond its singular, intended target. Premiered in Berlin on February 11, 2016, and in the U.S. on July 8, 2016, it was chosen to compete for the Golden Bear award at the 66th annual Berlin International Film Festival.